A lot of people compare their performance to and keep track of the Dow Jones Industrial Average. When someones says how the market is doing they are typically referring to the Dow. Currently it’s over 1600 in value. What does this mean though? Should you really compare your portfolio against the Dow? The DJIA is an indicator of stock values based upon 30 blue-chip stocks currently. From their website, the Dow was founded in 1882 by Charles Dow, Edward Jones and Charles Bergstresser. The companies that have made up the Dow have changed quite a bit over the years. As recently as September, three new stocks were added and three were taken away. Nike (NKE), Goldman Sachs (GS) and Visa (V) were added and Hewlett Packard (HPQ), Bank of America (BAC) and Alcoa (AA) were removed. The index committee decided that due to their low stocks prices and the need to diversify sectors that these changes would be made. So if the Dow is adding growth candidates and removing laggards then shouldn’t you be doing this with your own portfolio? I would say, absolutely! 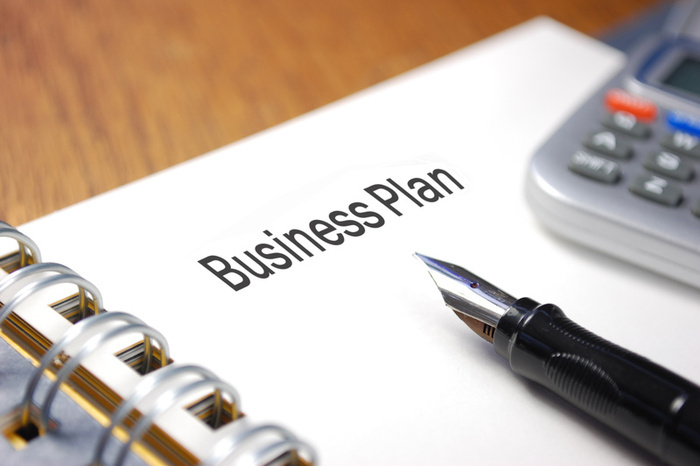 If you took a look at My Business Plan, you will see reasons that I will consider dropping companies from my portfolio. Just like with the DOW, you should monitor your portfolio and make changes to diversify and protect you income stream. Alcoa (AA) for example, cut their dividend back in 2009 from 0.17 to 0.03. Most DG investors would have dropped the stock immediately. So back to the question about comparing your portfolio to a benchmark… As a dividend growth investor, I’m more concerned about my income stream increasing than I am in the total value of the portfolio. I try to ignore the market noise and make consistent purchases adding to this income stream and watching my dividends snowball. However, if your dividends are constantly increasing, this comes from an increase in earnings from these companies which will cause the stock prices to rise over time. So I do look to see how my portfolio is doing against the S&P 500 which is a much larger and better representation of the stock market in my opinion. This comparison is mainly for curiosity and peace of mind. With the markets hitting all time highs, many people are holding onto cash and waiting for a pullback. A lot of people were also expecting a pullback a year ago. If you didn’t invest this year then you would have missed out on a lot of capital appreciation. While I do believe markets are slightly overvalued, I don’t think we are close to extreme overvaluations. As Jim Cramer often says, “there’s a bull market somewhere”, I continue to look for the best values I can put my money into. 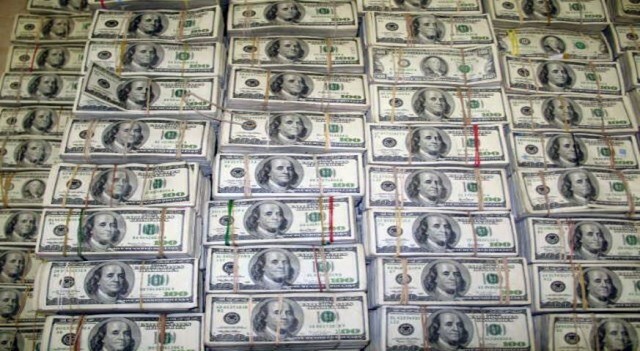 I do plan to hold onto a little more cash going forward in case of a correction. Whether the markets are up or down though, I will still be making consistent purchases to build my income stream. How does the Dow influence your decisions? How do you follow a blog? I’m curious how other bloggers keep up with some of their favorite blogs? For me, I typically add a blog site to my Blogger Reading List. I’m near a computer most of the day and am able to see new blog posts easily. I can also pull up the reading list from my cell phone. If you don’t know how to do this, I will show you how. First, go to blogger.com and make sure you are logged in. Next you click on ADD under reading list on the left-hand side. Once you click add, you will see the box pop up below. 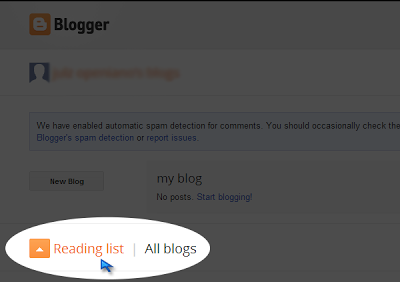 You can manually add the blog you want to follow in the URL and just click the orange “Follow” box. I started a poll on the right side of my page. Please vote! You can choose multiple answers. I just received $400 in cash back credit to my Amex Card. That’s right, $400 for just using my card! When most people think about credit cards, it usually comes with a negative connotation. Well I’m here to tell you that credit cards don’t have to be all bad. First of all, I always pay off my entire balance every month. This alone keeps me from paying any fees. Some people will argue that you still spend more because it’s easier to swipe a card than to use cash. I agree with this to a point but you just have to have some self control. I use my Chase Visa on the rotating categories and I use my Amex card on everything else. My wife also using the Amex account for all gas and groceries. All balances are paid at the end of the month to avoid any fees. Actually Amex is set up to automatically pay the full balance at the end of each month. I don’t even have to worry about it. 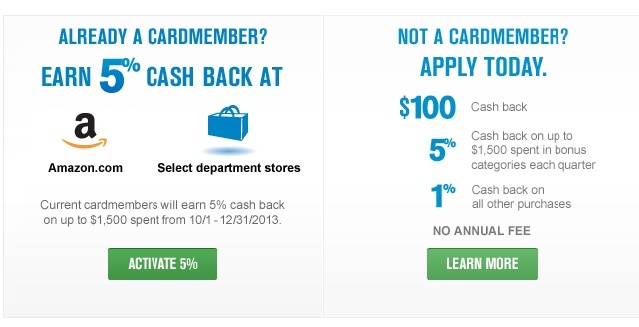 In additional to these benefits, these cards offer new users a bonus when they sign up. I think it’s $100 currently with Chase and it was $150 when I signed up for Amex. The biggest problem with Amex is that it’s not always accepted everywhere. That’s ok because it’s always accepted when I use it for gas or groceries though. I don’t like having to keep up with the rotating Visa categories and would look into a new card if it had better benefits. I’m curious if anything else uses credit cards to their advantage and what they are using. This is my “All About Interest” business plan. This is a dividend growth plan that will focus on investing in sound companies that meet certain criteria listed below. These are companies that typically have a long track record of paying and increasing their dividend each year at rates higher than inflation. While this plan is long overdue in writing, I’ve had it formulated in my head for some time. Maybe my plan will help some others create their plan for financial independence (FI). Main Goal: Produce a consistent income stream from dividends that will grow each year at a rate higher than inflation. The companies producing these dividends should be hand-picked and meet all of the criteria in my plan. 1.) At least 90% of all stocks chosen should be in the CCC lists, that is the Champions, Contenders and Challengers list maintained by David Fish. This list can be found on my Get Started tab. 2.) Small-Cap or larger ( >250 million market cap). 3.) 10-year YOC should be 10% or higher (typically using 5-year CAGR). see a monthly CCC Ranking to find out how i calculate this metric here. 4.) Minimum yield of 2.5% (exception can be made as long as target total portfolio yield holds). 5.) Dividend growth over last 5 years (5-year CAGR) must be over 4%. 6.) Large moat or competitive advantages. Stocks chosen should be at “Fair” value or better. Valuation is determined by P/E multiples, payout ratios, future growth projections, cash flows and debt levels. 1.) Target of 40 total companies in final portfolio. 2.) Target weight of 2.5%, no company should be above 10% weight unless a very compelling reason exists. If the total number of companies do not equal 40, then the target weight percentage will be calculated by dividing 100 by the current number of companies (i.e., 20 companies will give 5%). The max allowed weight will be four times this number. 3.) Total portfolio yield > 3.5%. That means to produce $60k in yearly income, I’d need a portfolio size of $1,714,285.71. All dividends should collect and not be automatically reinvested. Instead they will be added with fresh capital and deployed into my best ideas at the time. This prevents investing in a company when I think it’s overvalued. I think this lays out a good start to my business plan. There are parts of my plan that are subjective and I’ve left room to improve upon or modify this plan as I get closer to FI. I have tried to set some good guidelines to use for myself in building up my “All About Interest” plan. I also realize I have a couple of companies that don’t meet all of these guidelines. As I approach FI, I plan to reduce exposure to any speculative positions. I had a few people ask about an introduction to options. In this introduction to options I will go over some of the basics and talk about the options strategy I use the most, selling puts. In a rising market It can feel like you are “printing money.” I will also talk about how to buy a put and why you would want to. I am certainly no expert on options trading but I have done really well so far. I’ve earned $3486 so far this year and have kept no more than $13,000 in my options trading account. You can see all of my options trades on my options tab. I don’t know if it has been mostly luck but hopefully I will be able to give some advice or tips from what I have learned over the last 1 1/2 years. 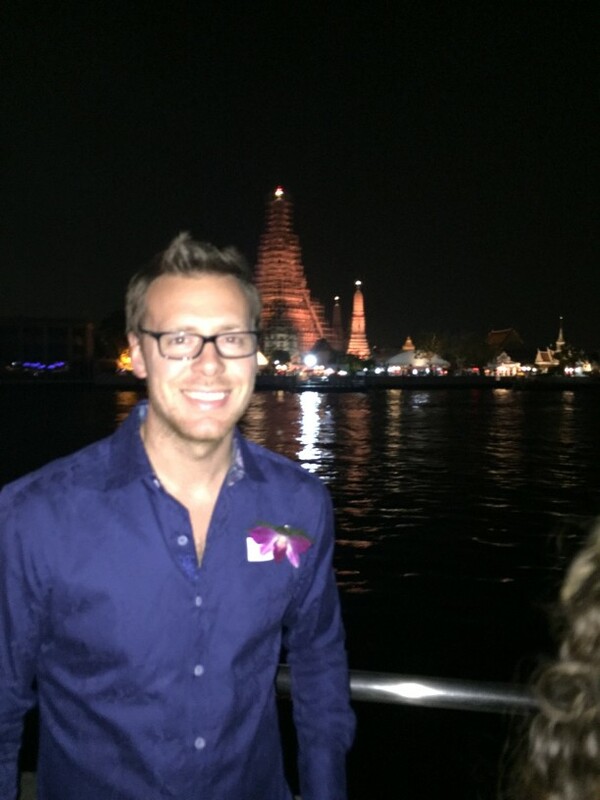 Before I begin, I previously posted my 2012 year-end options results here. This covers some of the basics and also a lot of the tax implications of options. Put Options – A put option gives the holder the right to sell a specific stock at a set price, the “strike price” , on or before a specified date. Call Options – A call option gives the holder the right to buy a specific stock at a set price on or before a specific date. Strike Price – The strike price is a fixed price at which the owner of this option may buy or sell said security. Premium – This is the income received by buying or selling an options contract(s). Expiration Date – This is the last day that the options contract is valid. Let’s use Coca-Cola (KO) as an example. As of this writing, KO shares are currently trading at $39.46/share. I really like KO stock and want to buy more but I believe that Coca-Cola may be slightly overvalued. However, I determine that I’m willing to purchase KO shares on for $37/share or less. Well I could sell an option contract in order to “try” to buy more KO stock at this cheaper price. Worst case is that KO’s price doesn’t drop and I get to keep the premium. I decided to look about 5-6 months out in time. 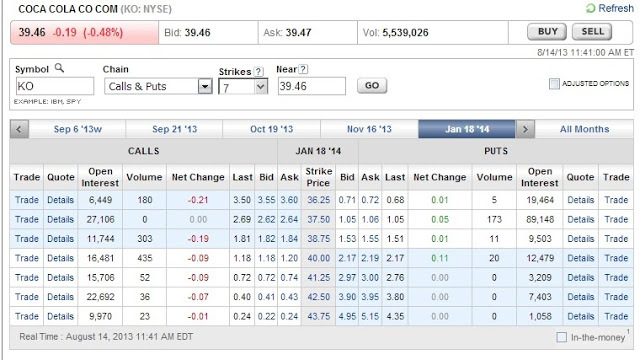 Below you can see the Jan 18 ’14 KO Puts around $40 strike. Since I’m selling a put, the bid price is the price I’m going to get paid to sell this put option. Keep in mind that the longer amount of time I’m willing to wait, the higher the premium is. So what Strike Price will give me a chance to purchase KO for under $37/share?? For sake of this example we won’t be counting commission costs. So the way you figure your cost basis is to take the Strike Price and subtract the Bid price. So for the $40 Strike I would subtract $2.17 and come up with $37.83. This is higher than I want to pay so let’s take a look at the $37.50 Strike. If I sell 1 $37.50 KO Jan 18 ’14 Put right now then I would receive $1.05 x 100 = $105. Keep in mind that 1 put is equal to a 100 share lot so you multiply the bid/ask by 100 to figure out your premiums. So if these 100 shares of KO got assigned then my cost basis would be $37.50-$1.05 = $36.45/share. If KO is trading above $37.50/share around Jan 18 ’14 then I would get to keep the $105 for waiting. To me, selling puts against sold blue chip companies is a win-win. I’m not worried KO is going out of business. I currently own shares and would like to build a bigger position. The key is trying to buy shares without over-paying. In this example, by waiting 5 months, you are given a chance to own additional shares of KO at a cost of $36.45/share or a 7.6% discount to where KO is currently trading. Let’s assume I bought the put instead of sold it in my previous example. My break-even (the point where the sloped part of the graph crosses the x-axis) in the above example would be $37.50 (the strike) – $1.06 (the premium paid per share) = $36.44. Any price above $37.50, I have limited my loss to the premium paid. Any price below $36.44/share, I will be making a profit. Buying puts is a concept that I understand but have not done yet. You are hoping or expecting the stock price to drop between the purchase date and the expiration date. Your loss is only limited to the amount of premium you paid. However, your profit potential can be very high depending on how far the stock drops in price. If you had bought puts in bank stocks before the financial crisis then you could have gotten rich. You are buying the right to sell a particular stock at a pre-determined price. You can do this whether you own the stock or not. Using the example above, let’s assume I bought the $37.50 Jan 18 ’14 Put. It would cost me $1.06 (ask price) x 100 shares = $106. Basically if KO was trading below $37.50/share then I might want to exercise my right to sell 100 shares for $37.50/share. This trade protects my investment from dropping below $37.50 before the expiration date. If I didn’t own 100 shares of KO then I am basically just betting that KO stock will drop in price enough that I can sell the put back before expiration for more than the premium. As KO stock drops, the bid/ask price of this particular put will rise. In order to sell options, you will have to apply for an options trading account with your broker. For E*Trade, in order to sell naked puts, I had to get approved for Level-3 options trading using a marginable account. This requires a little bit of prior options experience to get qualified for naked puts. However, most anyone should be approved for basic options trading using a cash account. You will want to have $37.50 x 100 = $3750 in cash to secure the KO trade for a cash account. Once you get approved for marginal trading and naked put selling then you are able to leverage your money to make many more trades. For instance, this particular trade would only require me to have $750 in cash initially. As the price of KO goes up , the bid/ask price will go down. So if KO goes on a run then my margin maintenance requirement will also go down. However is KO shares drop then I will be required to hold a little more cash to secure this put. I will talk about maximizing your leverage in a future article. Note: I actually made a real-life put trade with KO recently and have posted that here. I hope this is helpful and I plan to write another article involving call options, using margin to leverage your trades and some advanced options strategies. I submitted an article last week on seeking alpha regarding one of my methods of picking stocks that uses a 10-year Yield on Cost (YOC).